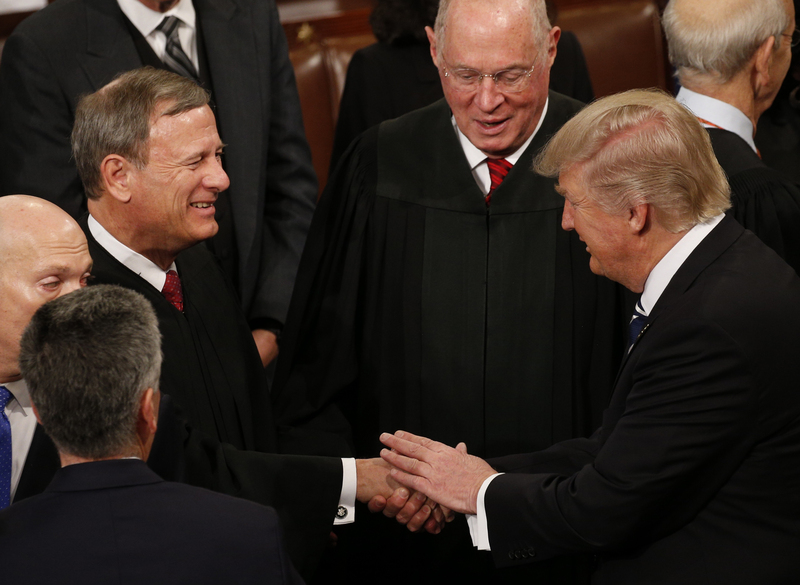 President Donald Trump defended his criticism of a federal judge who barred enforcement of his new asylum rules Wednesday, after Chief Justice John Roberts issued a statement rebuking the president’s broadsides. In a pair of afternoon tweets from his Mar-a-Lago retreat in Florida, Trump said that a series of rulings that stalled his immigration agenda have jeopardized the security of the nation. Trump’s latest censure arose Tuesday when U.S. District Court Judge Jon Tigar stayed the administration’s new asylum rules, which in effect forbade illegal aliens from receiving asylum. Former President Barack Obama appointed Tigar to the bench. The chief justice issued a rare public statement in response defending the courts, which was all the more remarkable in that sitting justices seldom comment on the news of the day. There are few precedents in the modern era for Wednesday’s exchange between the president and the chief justice. The nearest historical corollary may be former President Franklin Roosevelt’s feud with the Supreme Court of the 1930s, whose arch-conservative majority struck down many of his New Deal measures.